Embracing the quality, Judith Milgrom chose to join forces with Minnetonka, an accessory brand famous for its craftsmanship and far-ranging influences. Maje and Minnetonka share the same spirit of freedom and independence. 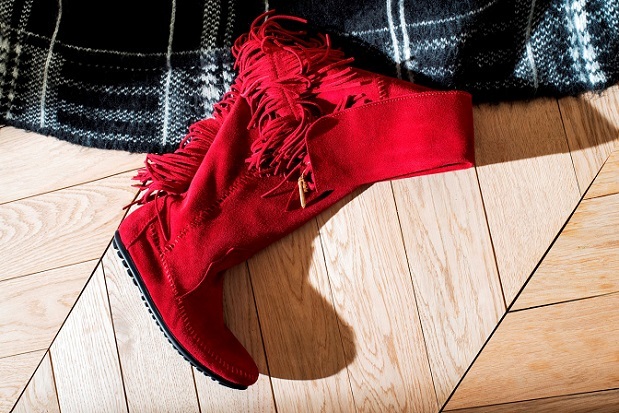 Fringed suede thigh-highs and leather-laced low boots both sport ornaments from the Maje jewellery colection.